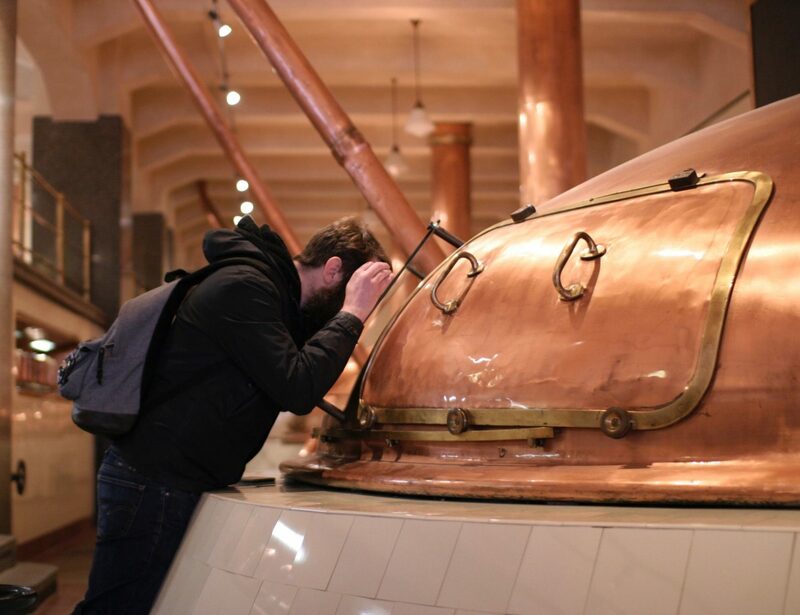 Myself (Communications Coordinator Katy) and Head Brewer Will, were lucky enough get a private tour of Pilsner Urquell in Pilsen recently. Will won the tour back in 2016 when he brewed Wheaty McWheatface for Imbibe Live. We were absolutely blown away. 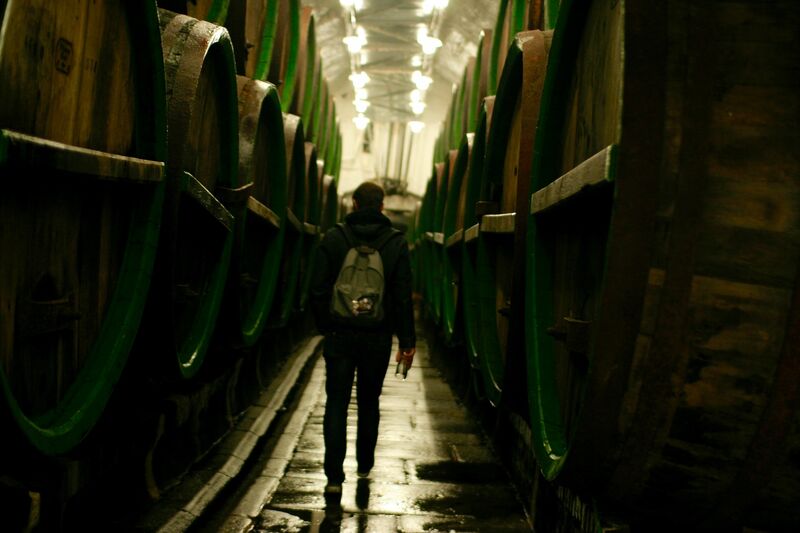 The passion, history and sheer love of the brewery from the local inhabitants was astounding, and getting to venture into the hand carved cellars and pour our own unfiltered, non-pasteurised pilsner from an oak barrel was definitely a high point. Not to mention all the beer we got to ‘sample’! 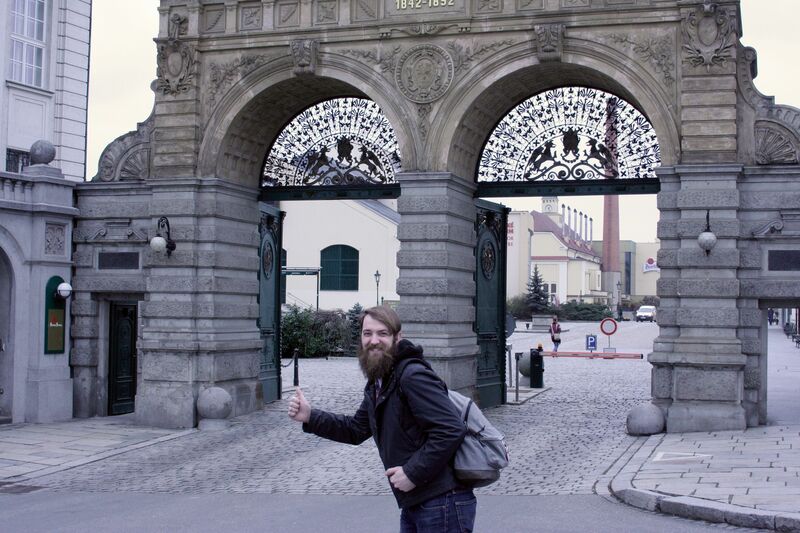 I’m going to share some images of our adventure, along with some words about the brewery, the beer and Prague itself. I hope you enjoy! As we exited the car we were immediately hit with the familiar yet different bready waft of malt that you get near a brewhouse, our wonderful guide Eva told us she never gets tired of that smell and I have to agree. There’s something quite comforting about the aroma, almost homely. The understated entrance on the left was constructed in 1892, commemorating 50 years since the beer was first brewed on 5th October 1842. When the impressive gateway was undergoing some recent work, they found a time capsule under one of the stones containing some ‘gossips’ from the late 1800’s. Unfortunately they made little sense in the present day so it was decided to add some from this era and replace it, until someone else uncovers the secret in years to come. 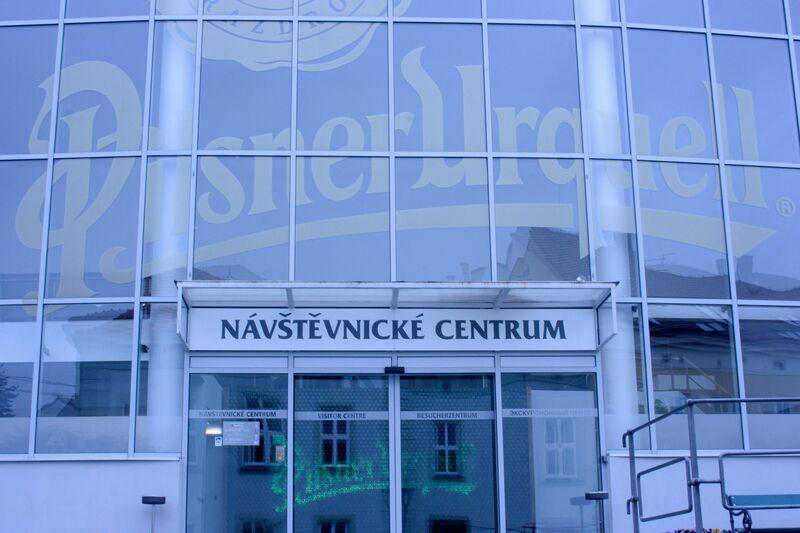 The next leg of the tour is the visitors centre, where you are shown a short but informative video on the history of Pilsner Urquell whilst standing on a revolving floor. Most disconcerting when you end up facing the other side of the room without any physical sign that you’re moving! The first room is full of historical artefacts, from hand written records to the goblets that once held Pilsner Urquell from which influential figures have quaffed. You are allowed a peek into the lab where experimental flavours are created. For example we tried a tasty IPA in one bar, which is only available there! After this we were shown the immense packaging line. It is enormous and mesmerising to watch. It’s so quick and so intricate it’s amazing that everything doesn’t just crash to the floor. The bottles can be re-used a certain amount of times and this is monitored by high tech cameras, if an unsuitable bottle is detected it is removed from the belt. Each bottle is sprayed with water before filling to ensure any impurities are sealed to the glass, away from the beer. This is the same for most of the bars we went into. 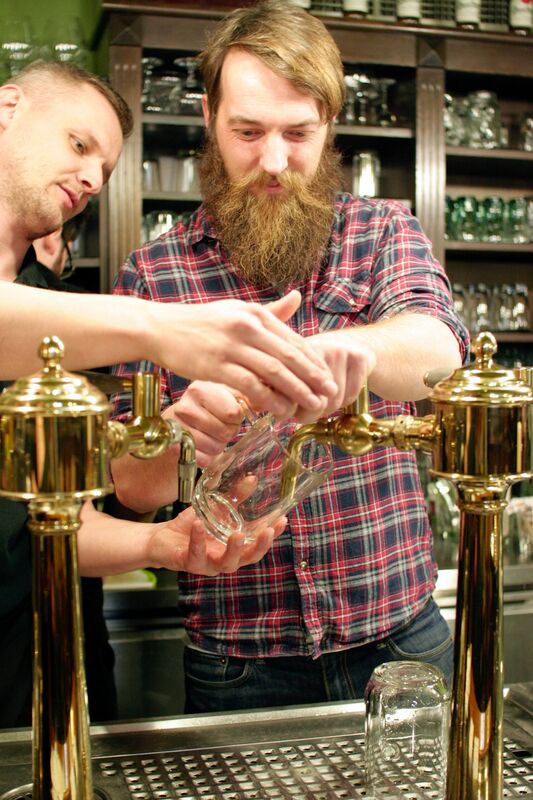 To make sure the beer is at it’s best, the glasses must be hand washed and then kept wet or spritzed before filling to make sure it is ‘beer clean’. (Note: If you’ve ever noticed a little pocket of bubbles in your glass, your glass isn’t ‘beer clean’). Then, the bit we'd really been waiting for...the brewhouse! 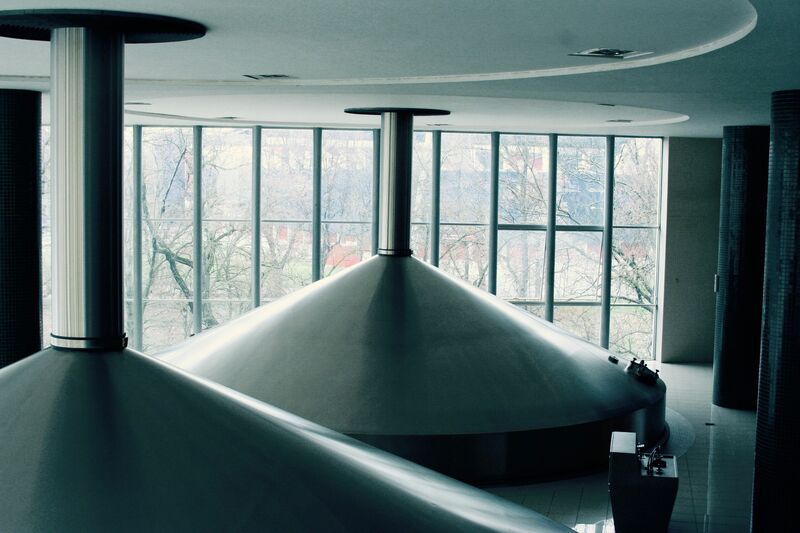 After a gentle walk through where the ingredients come from and why Pilsner Urquell is still brewed in the traditional triple decocted style, with direct gas fire heating, you are led into the ‘old’ brewhouse. See Will to the left peering longingly into one of their disused kettles. You can feel the history here, the care and attention that’s gone into years of traditional brewing. It was quite overwhelming and nothing like what I anticipated. Even more overwhelming was getting to see where the beer is brewed now. It.Is.Huge. It looks more like a bath house than a brewery. The sun shining through the massive glass windows straight onto the gleaming copper and spotless white tiles had me in awe. Not to mention that the brewing process hasn’t changed since 1842! A quick guide to triple decoction mashing: malt goes into the mash tun with water. Portions of the mash are drawn off, heated over open flames and then returned to the mash vessel. As you might have guessed, this is repeated three times in total. The flame is what creates the characteristic caramel sweetness in the beer. 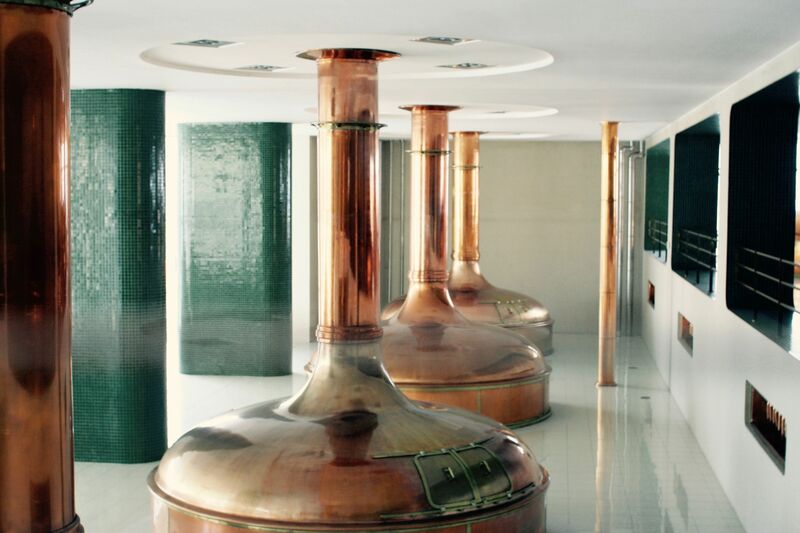 All of the malt used comes from Czech farms and is steeped, germinated, kiln-dried and ground in the Pilsner Urquell malthouse. Only locally sourced Saaz hops are used. 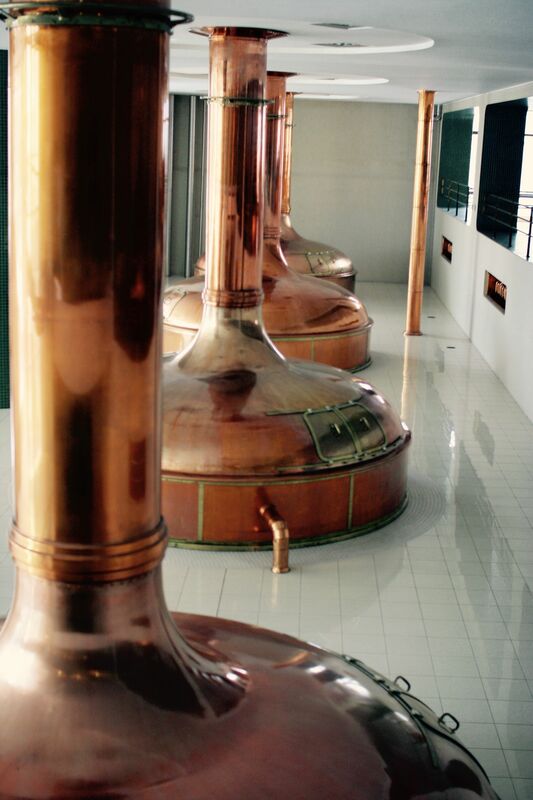 They use ‘the h-strain’ yeast which is a descendant of the original brew and stainless steel cylindroconical fermenters. Our favourite place during the tour was definitely the cellars. 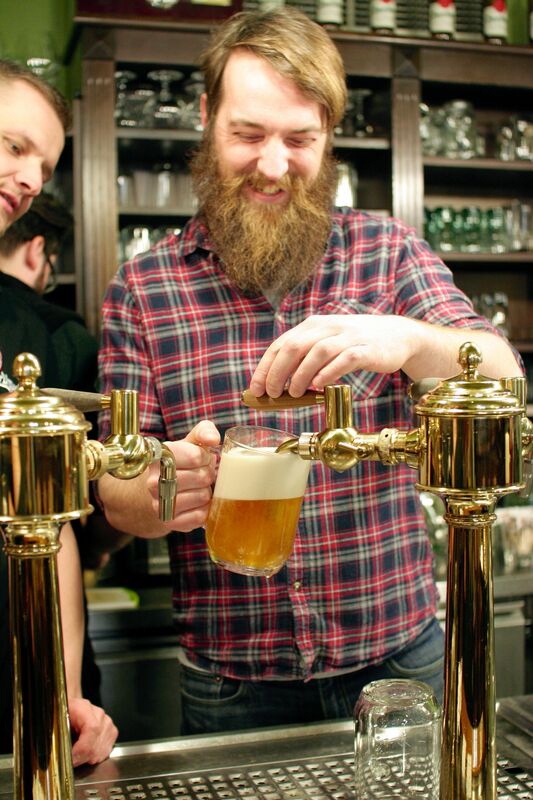 At one point in time, every household in Plzen was allowed to brew beer. You might think that’s great, but it yields a huge variation in quality! After having to dump 36 barrels of undrinkable beer in 1838, the local residents decided to build a new brewery, a state of the art one, with practices including the production of pale malt. It was then that the tunnels under the brewery were started. 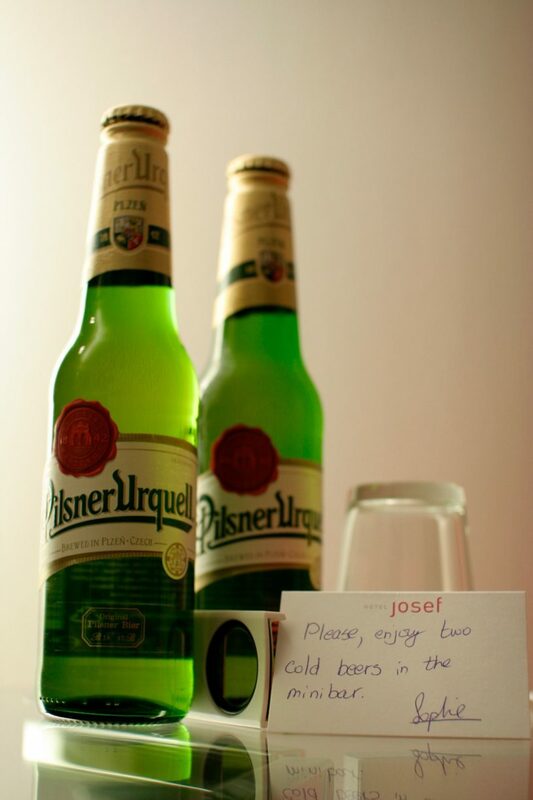 After four years, Pilsner Urquell was born, and still uses the same ingredients and methods to this day. ‘Control’ casks are kept in the cellars. 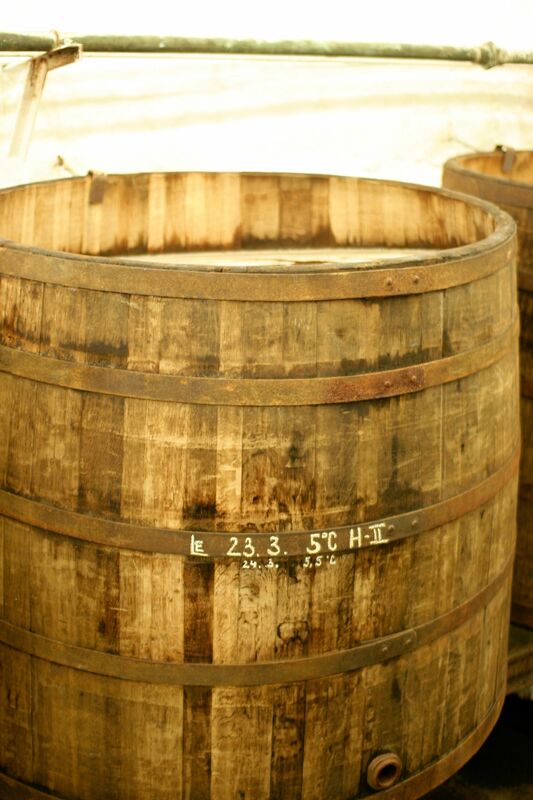 Fermented and lagered the original way in resin-coated wooden casks. The sheer amount of work that went into hand carving the 9km of cellars is breath taking. Three generations worked on these tunnels. The only sound you can hear is the gentle drip of water, as the majority is below the water table. It’s a place to ponder. 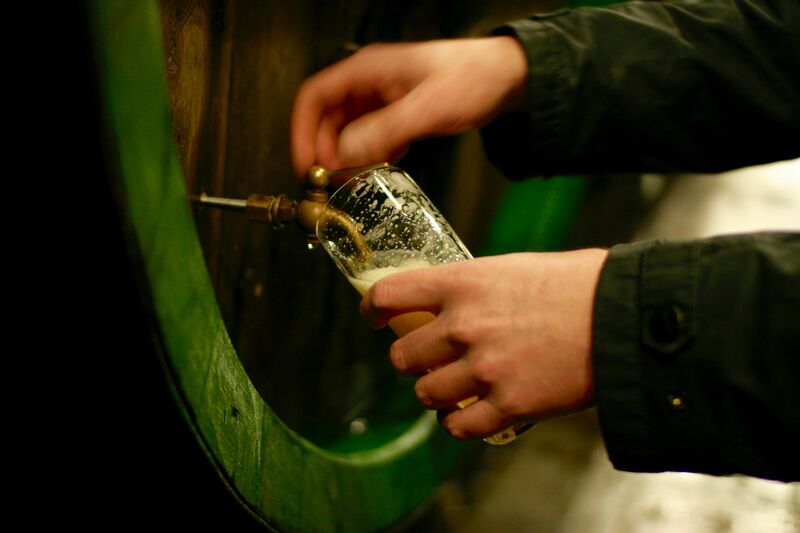 To pour and drink from an original barrel, the unfiltered, unpasteurised Pilsner in the cellars created by local residents over 100 years ago. 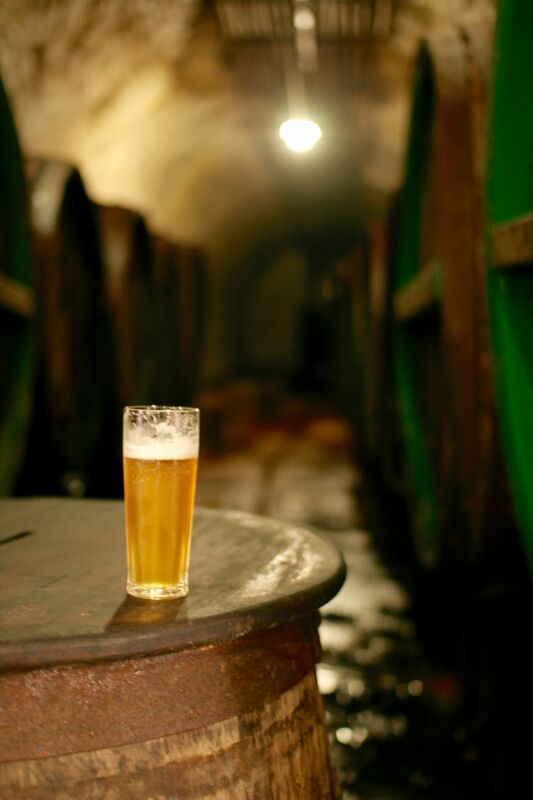 Pilsner Urquell means ‘Pilsner from the original source’. They produce 10.1 million hectolitres/year, 95% of which stays in the Czech Republic! There are different ways to drink it, three main ones being Hladinka, Snyt and Mliko. The National theatre and the Cathederal gave money to the brewery to help completion, as did the local residents, much the same as modern day crowd-funding! Lokal – Simple food paired with great tasting Pilsner and a friendly, relaxed atmosphere. You can’t go wrong here, and if you’re a gent, you really have to check out the bathroom! Maitrea – Great selection of food, with the usual beer (Pilsner Urquell & Kozel) plus some other more unusual offerings such as Hemp Valley Beer. U Tri Ruzi – Beautiful beer, you can watch them brewing whilst you sip. NUBEERBAR – A little out of the way but a great little craft beer bar with nibbles and flights. 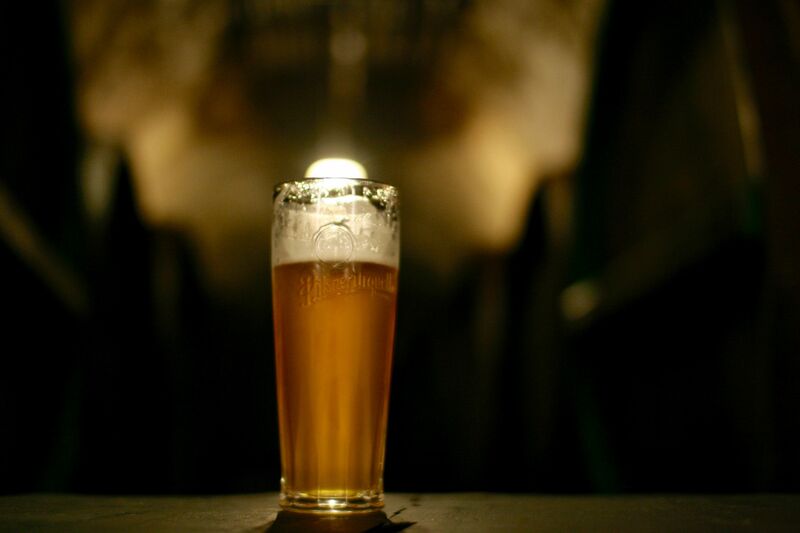 Beer Geek – A tram ride away, but worth it for a good selection of craft beers, on tap and bottled. Also try the chicken wings! U Fleku – If you only visit one place, go here. The oldest brewery in Prague. Simple and traditional. Beer, food, music and atmosphere. What more could you want!